Additional Info: Allowed small, trained dogs. No hen/stag nights. 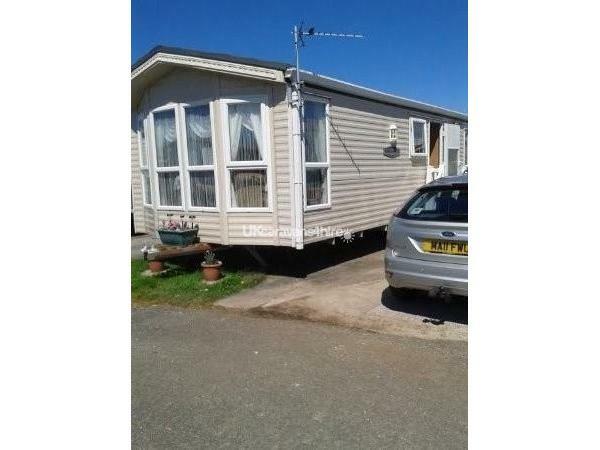 If you have recently booked this caravan and paid a deposit then please contact me on 0151-293-3387 or 07905908868 for next steps. 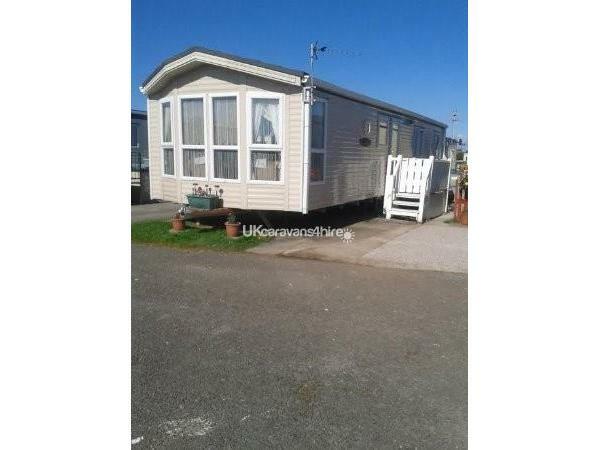 REFURBISHED TOO A VERY HIGH STANDARD 3 BEDROOM 8 BIRTH CARAVAN THE MASTER BEDROOM HAS TELEVISION. 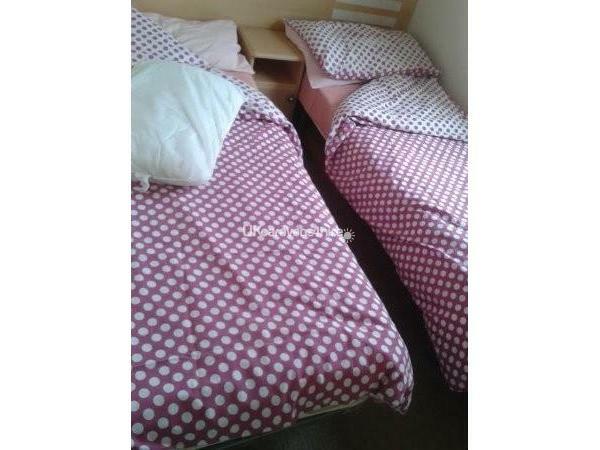 THE 2 DOUBLE ROOMS WITH SINGLE BEDS HAVE TV/DVD IN DOUBLE PULL OUT SOFA BED IN MAIN LIVING ROOM .SHOWER ROOM WITH TOILET AND SINK .ALSO SINGLE TOILET WITH SINK. DINNING TABLE AND 6 CHAIRS. . ALL NECESSITIES ARE PROVIDED. TOASTER . KETTLE. GEORGE FORMANNE GRILL . 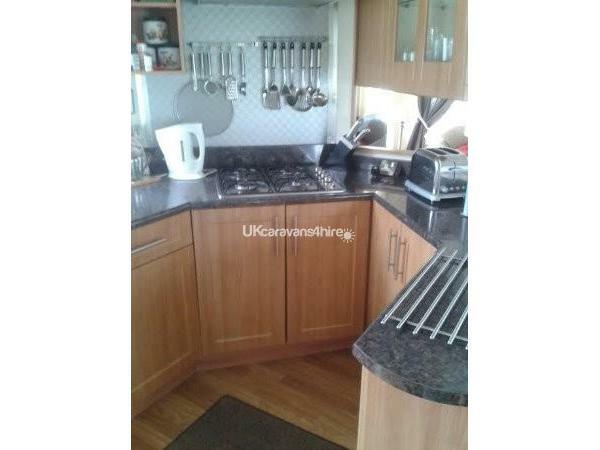 MICROWAVE.. GAS COOKER /GRILL. HAIR DRYER. VACUUM CLEANER IRON. DAB RADIO. .A MIXED SELECTION OF DVDS..ALSO A SELECTION OF BOARD GAMES FOR RAINY DAYS. 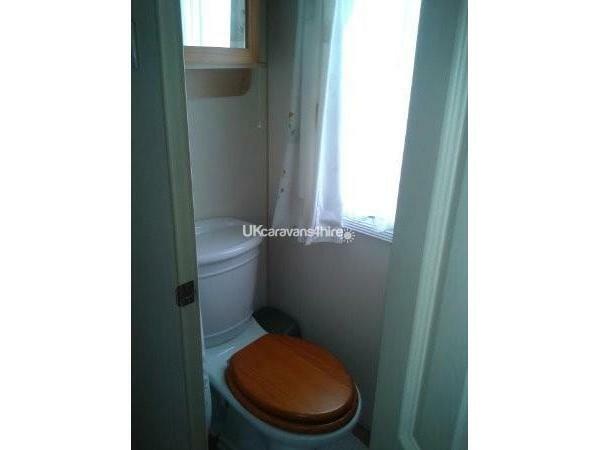 THE CARAVAN HAS FULL CENTRAL HEATING IN ALL ROOMS . ALL BEDDING SUPPLIED FREE OF CHARGE.TRAVEL COT AND HIGH CHAIR.CHANGING MAT AND BED SAFETY RAIL. COT BEDDING SUPPLIED FREE OF CHARGE.AVAILABLE FOR USE.GARDEN PATIO PICNIC TABLE WITH PARASOL.AND BBQ. .KIDS BUCKETS AND SPADES AND ARM BANDS.FENCES FRONT AND REAR.WITH LOCKABLE FRONT GATE FOR SAFETY OF YOUNG CHILDREN.DRIVEWAY FOR OFF ROAD PARKING. ALL BEDDING IS CHANGED PRIOR TO YOUR ARRIVAL. THE SITE HAS A FAMILY CLUB LIVE ENTERTAINMENT.SKY SPORTS. AND AMERICAN STYLE DINER.FREE ADDMITION FOR EVERYONE WELCOME.ARCADE AND CHILDREN'S SOFT PLAY AREA.AND IN SUMMER HOLIDAYS FACE PAINTING ARTS AND CRAFTS.FOOTBALL PENS.AND BASKETBALL COURT.ADVENTURE PARK ON DIFFERENT DATES CLIMBING WALL AND BOUNCY CASTLE..ALSO ON SITE ARE GOLDEN GATE CHIP SHOP AND GENERAL STORE.A LAUNDRETTE. HAIR DRESSERS AND TANNING SALON.THE CAMP HAS WIFI. 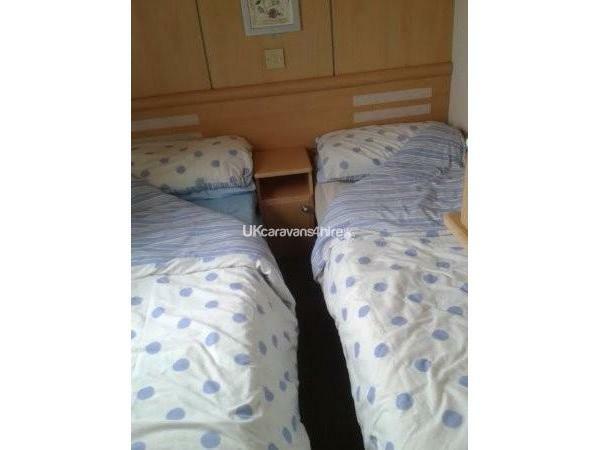 ASK AT RECEPTION ABOUT USE.BINGO EVERY NIGHT CAMP OPPOSITE 2 MIN WALK. LOCAL FACILITIES 2 FUN FAIRS GIFT SHOPS ARCADES.AND RESTAURANT ALL WITHIN WALKING DISTANCE.BUS STOP RIGHT OUTSIDE CARAVAN SITE BUSES TO RHYL COLWYN BAY AND LLANDUDNO. PENSARN IS NEAREST TRAIN STATION.THERE IS ALSO A LARGE CAR BOOT SALE AT TIR PRINCE.ON THURSDAY SATURDAY AND SUNDAY AND BANK HOLIDAYS LOCAL SWIMMING BATHS AND SPORTS CENTRE IS IN COLWYN BAY. IN THE SURROUNDING AREA TO GOLDEN GATE CARAVAN PARKTHERE ARE VARIOUS ATTRACTIONS TO VISIT.SOME ATTRACTIONS WITHIN DRIVING DISTANCE. INCLUDES 4 CASTLES.THE WELSH MOUNTAIN ZOO.SLATE AND COPPER MINES AND MUCH MORE. LLANDUDNO.ANGELSEY,THE GREAT ORME,BODNANT GARDENS, SWALLOW FALLS BETWS Y COED.AND WATERFALLS AT DYSETH..ALSO IN BETWS Y COED. ZIP WORLD ADVENTURE PARK. AND GREENWOOD FOREST PARK.. SEAQUARIUM ON RHYL SEA.FRONT. SURF SNOWDONIA. ARTIFICIAL WAVE POOL IN DOLGARROG CONWY 25 MINS AWAY. . ST ASAPH THE UK,S NEWEST AND SMALLEST CITY.WITH ITS MARBLE CHURCH ARE ALSO GREAT PLACES TO VISIT. AS OF 2016 AN ACCESS BARRIER HAS BEEN FITTED AT THE MAIN GATE .THE BARRIER CLOSES AT 22.00 HRS TILL 08.30 A CODE IS REQUIRED TO ENTER THE PARK . THE ENTRANCE AT THE RECEPTION WILL BE LOCKED NO ENTRY BY CAR. TO THE PARK A CODE WILL BE ALLOCATED TO YOU UPON ARRIVAL.AND WILL CHANGE WEEKLY. THERE IS ALSO 24 HR SECURITY. * A DEPOSIT OF £50 OR PAYMENT IN FULL SECURES ANY BOOKING .DEPOSIT IS NON REFUNDABLE..BUT DEDUCTED FROM FINAL PAYMENT. PAYMENTS CAN BE PAID VIA CHEQUE OR BALANCE TRANSFER. I spent a lovely week during the summer with my 1 year old son and 6 year old daughter. The double glazing and central heating made cool nights snug and warm with the children also enjoying playing with the good old fashioned board games in front of the fire and TV. 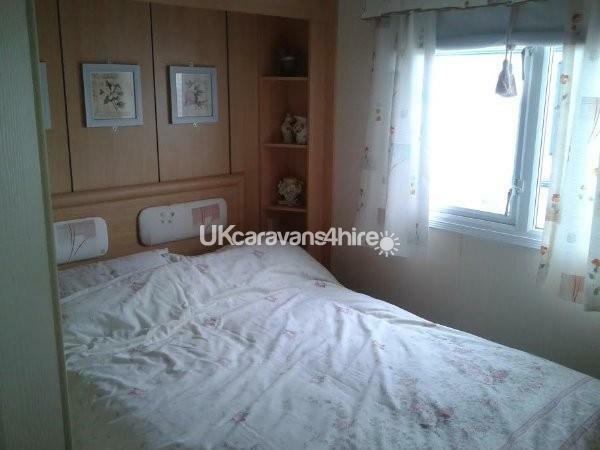 Being within driving distance of beaches, fairs, a market, arcades, bakery, supermarket [Asda], free farm in Llandudno, and the Welsh Mountain Zoo; this was the ideal family getaway. Elsa was truly accommodating! Ensuring a playpen and high chair for our son with the added safety of the enclosed patio area for breakfast outside on warmer days. Have already booked in for half term next year! Thank you for a lovely experience.